Black & White wedding invitations are bold and elegant, especially when they've been created by Paperlust. 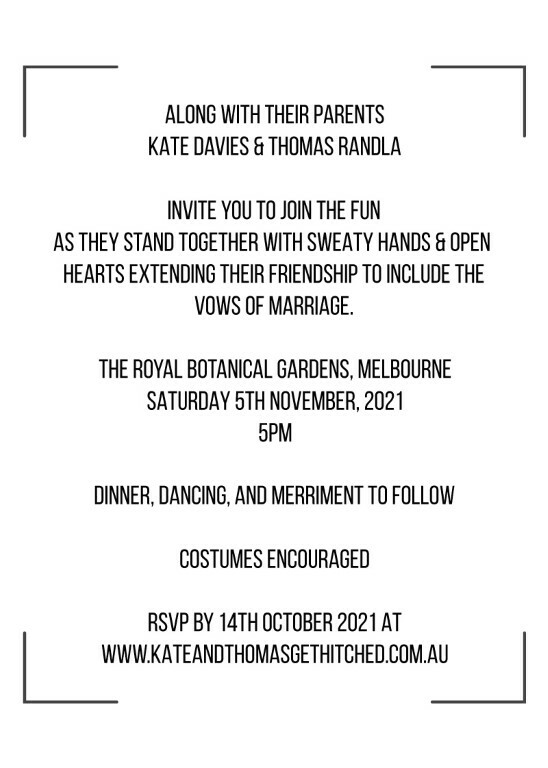 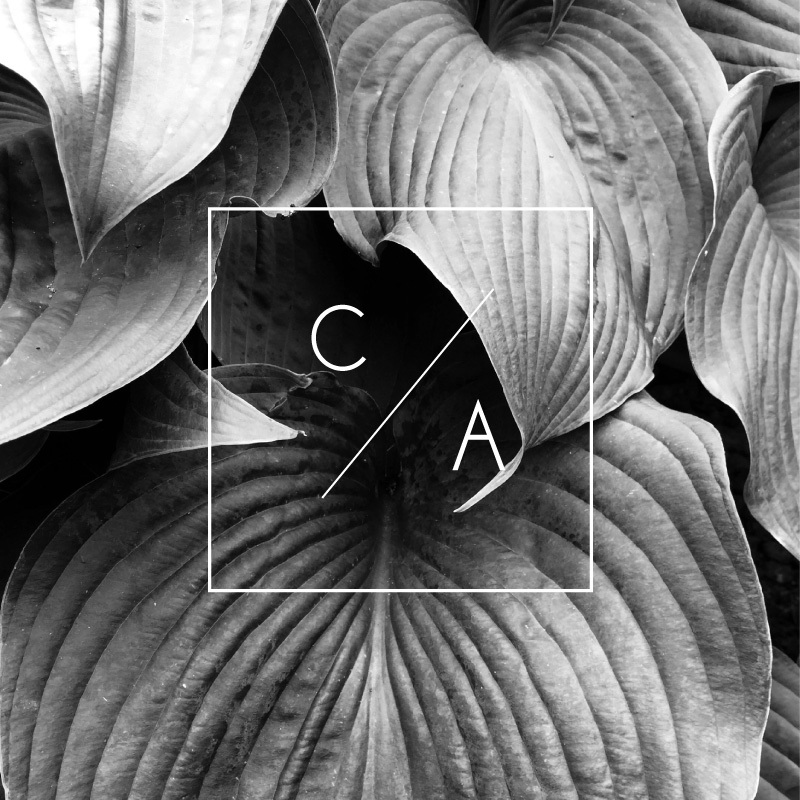 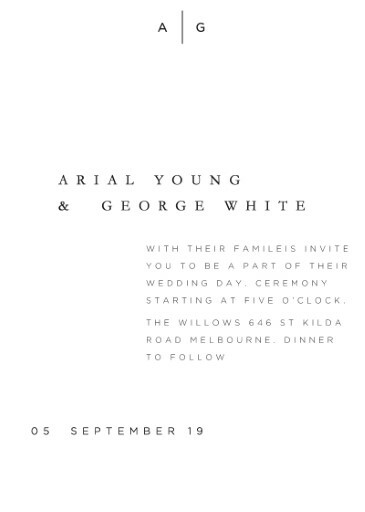 We collaborate with the very best Australian creatives hailing from Online, Australia, Sydney and Melbourne to bring you Black and white wedding invites like never before. 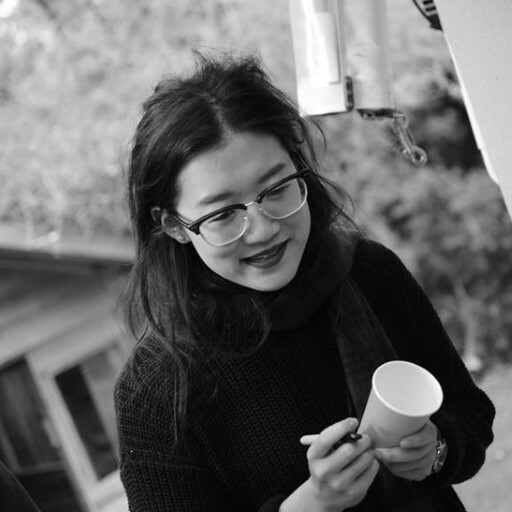 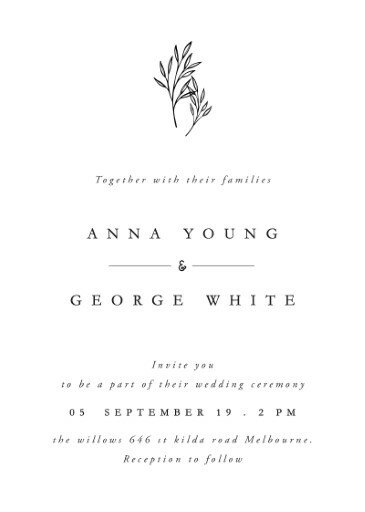 We are very partial to black and white design, so much so that it become the Paperlust brand. 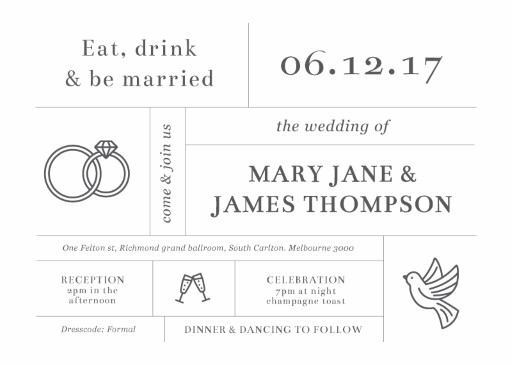 So for those brides looking for a special black and white wedding invitation set, we like to think you've come to the perfect place. Our range of black and white wedding cards covers vintage wedding invitations, rustic, beach wedding invitations and lace, and letterpress, metallic prints, foil stamp wedding invitations and print on wood. 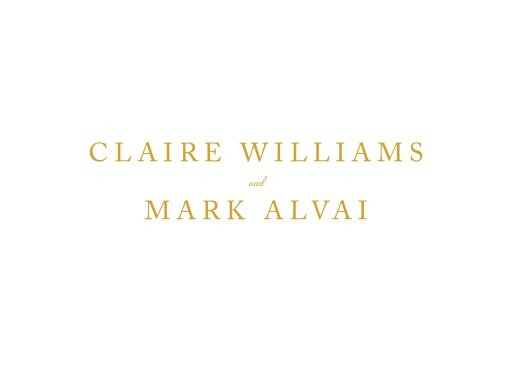 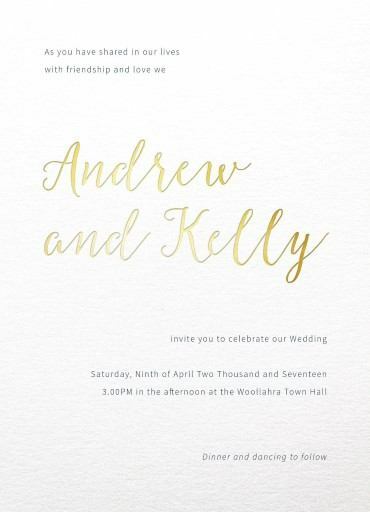 They come in matching sets, which means your wedding invitation set will include match designs across save the date, thank you cards, wishing well and engagement invitations. 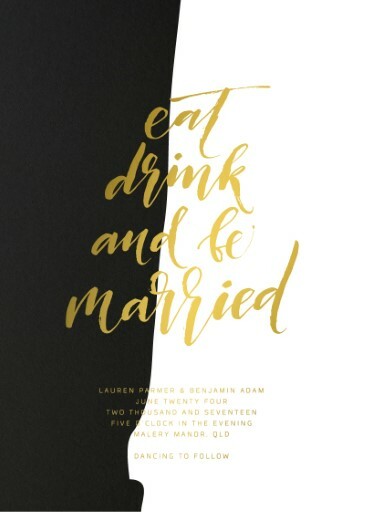 Carry the black and white theme to the table with black and white name place cards, and a black and white wedding menu. 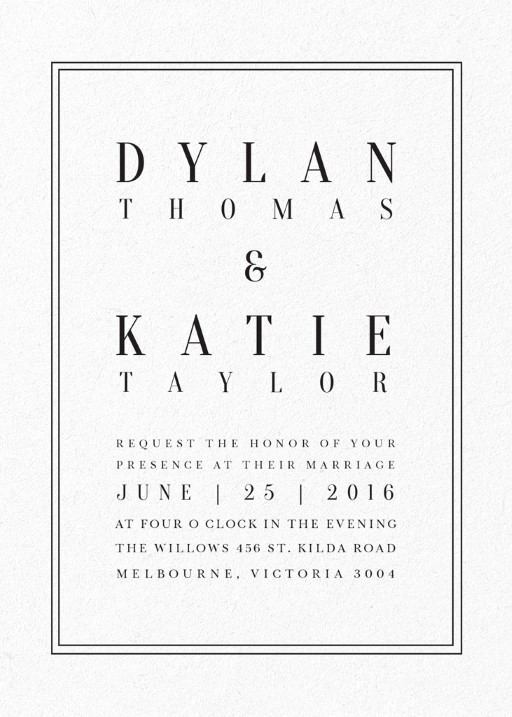 Black and white is perfect for the minimalist and monochrome lover or if you just love simple wedding invitations or classic design. 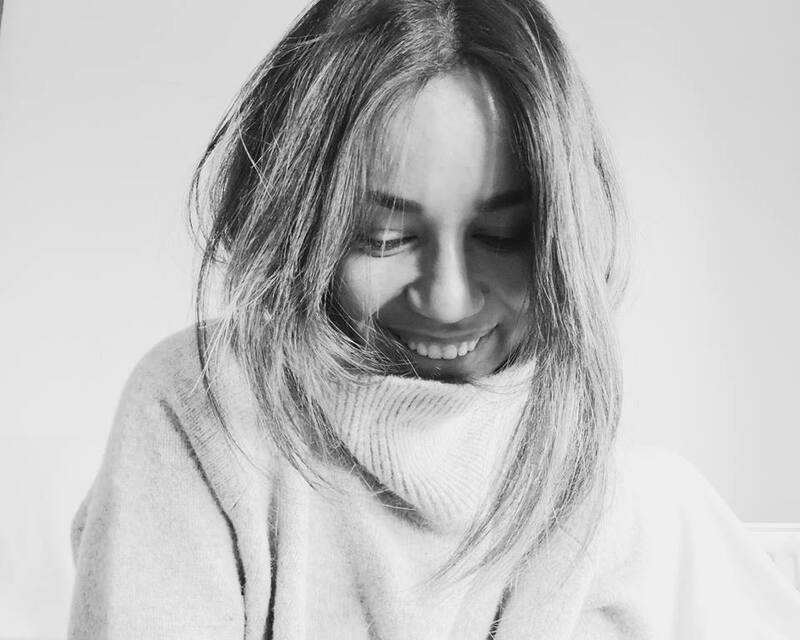 If you want something stylish then you can’t go wrong with monochrome. 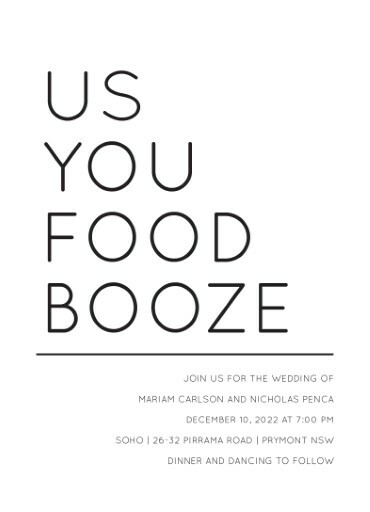 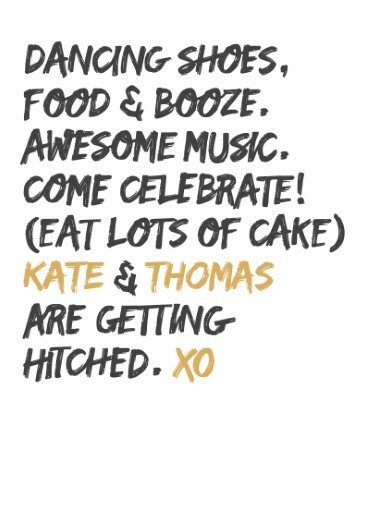 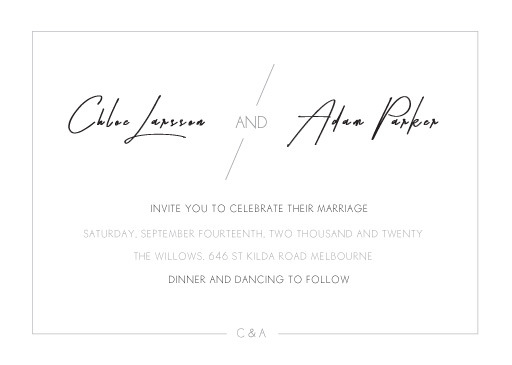 Sometimes sticking to something as simple as black and white can really make your invitations stand out. 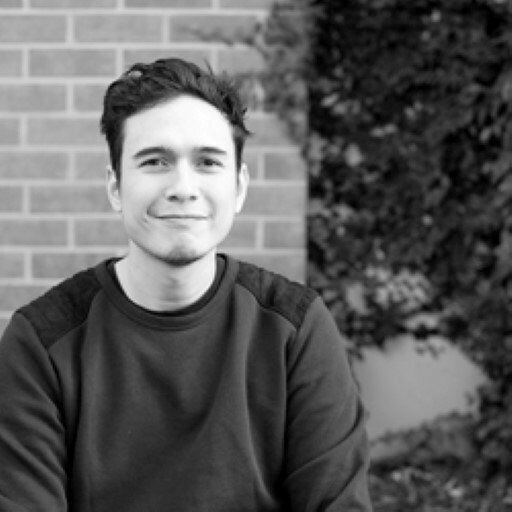 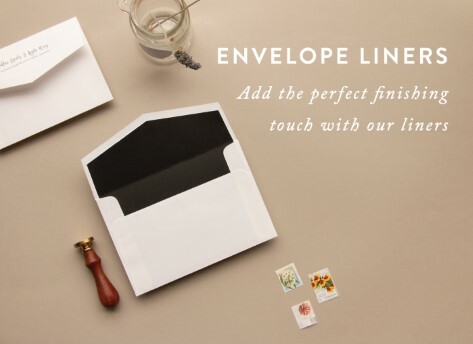 They’ll look clean and crisp, and we all know black and white never goes out of style. 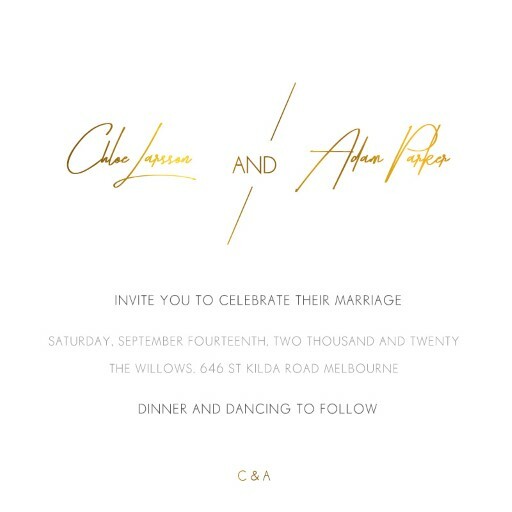 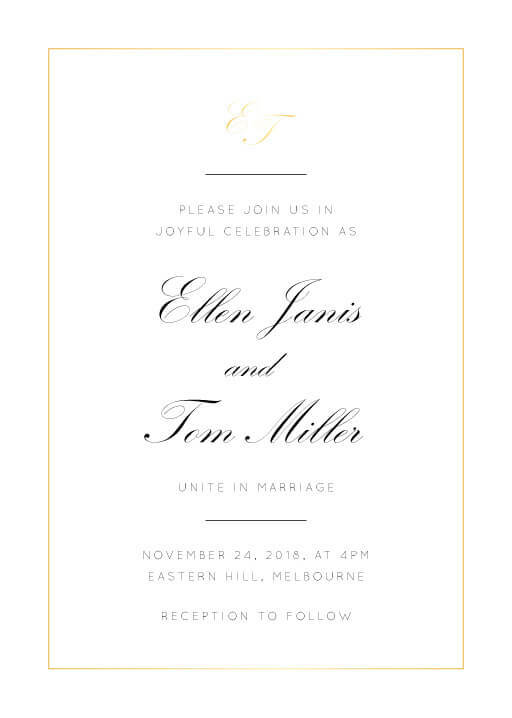 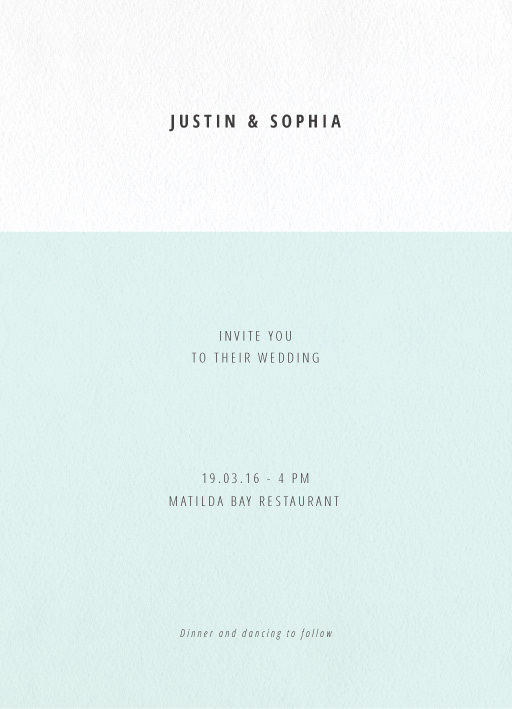 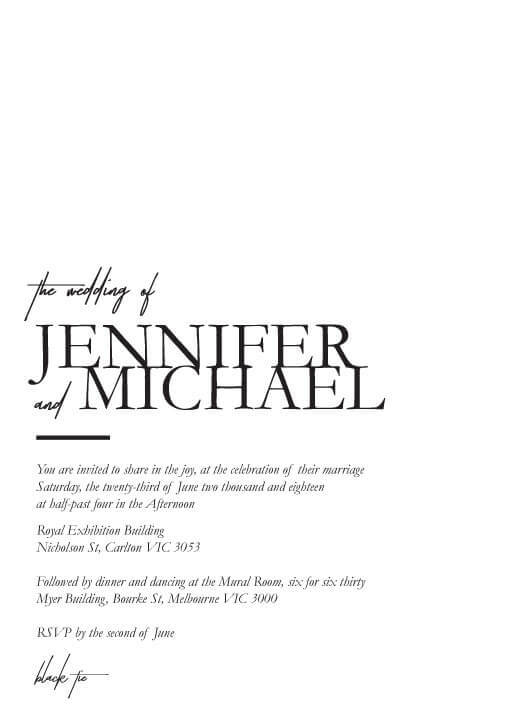 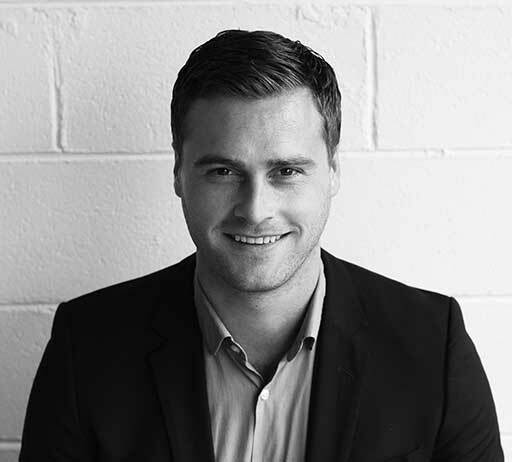 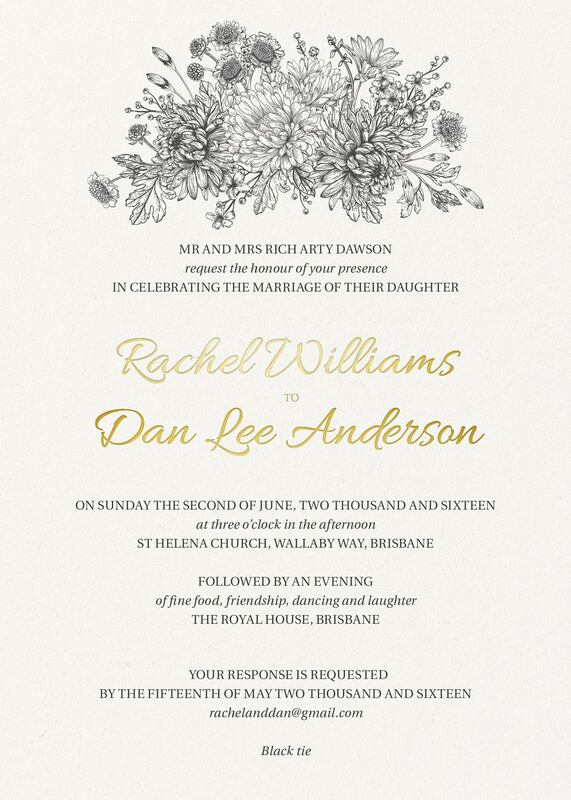 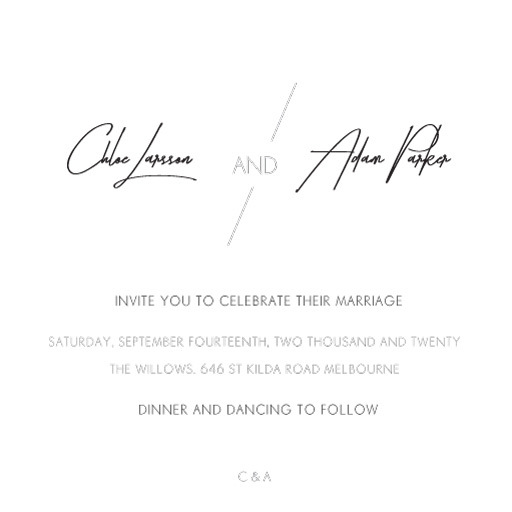 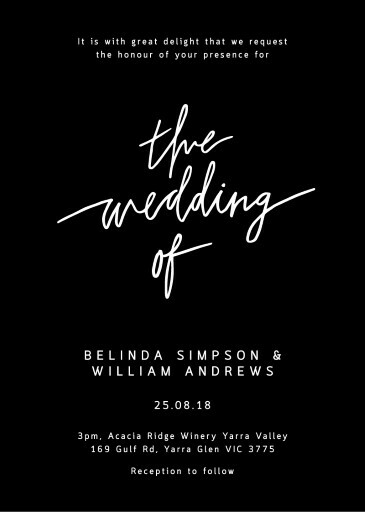 For something chic and minimalistic, our Australian designers have created some beautiful and unique designs for your black and white wedding invitations which will be the perfect aesthetic to complement your wedding. 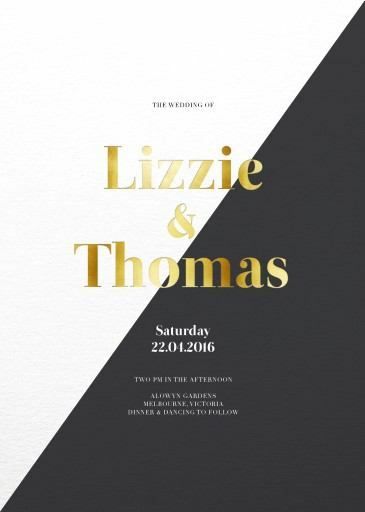 Whether the theme of your wedding is black and white, vintage or rainbow colours, black and white wedding invitations can fit in with any theme if you choose the right design. 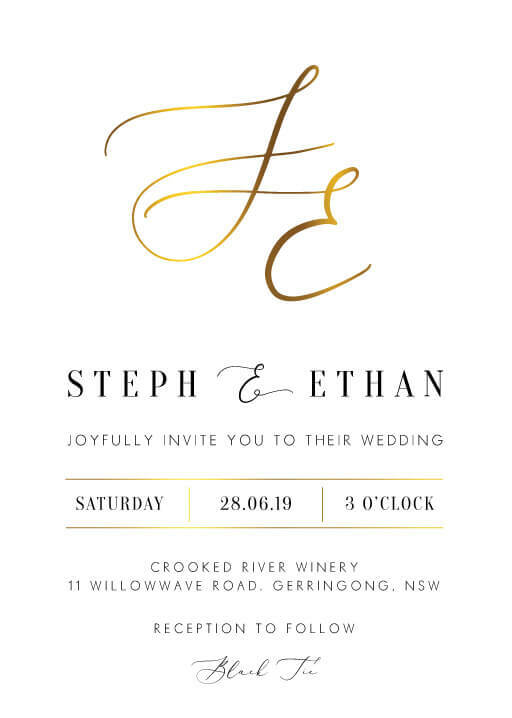 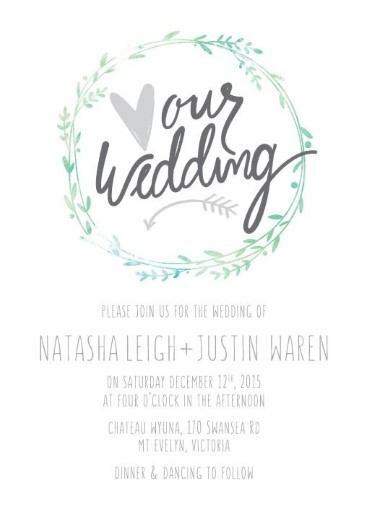 With a simplistic design, you can make your invitations stand out with some really great typography and let the words be the hero of your invitation, or choose a more creative illustrated design to be the focus. 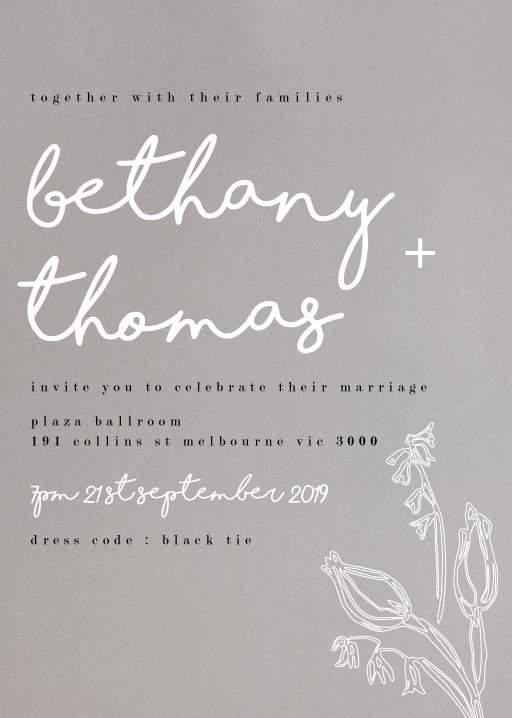 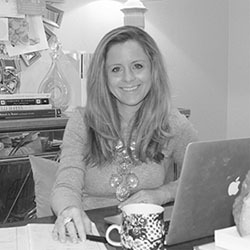 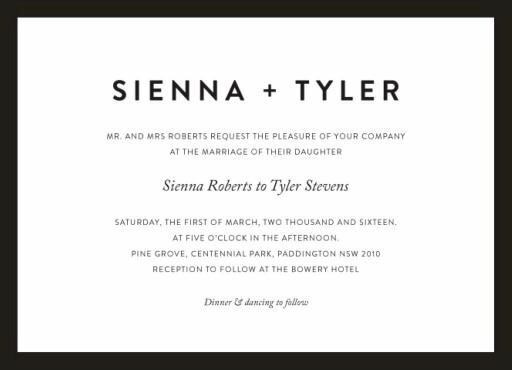 Either way, having a black and white wedding invitation design will draw the eye and you’ll end up with something with lasting style that your guests will love to keep as mementoes of your special day. 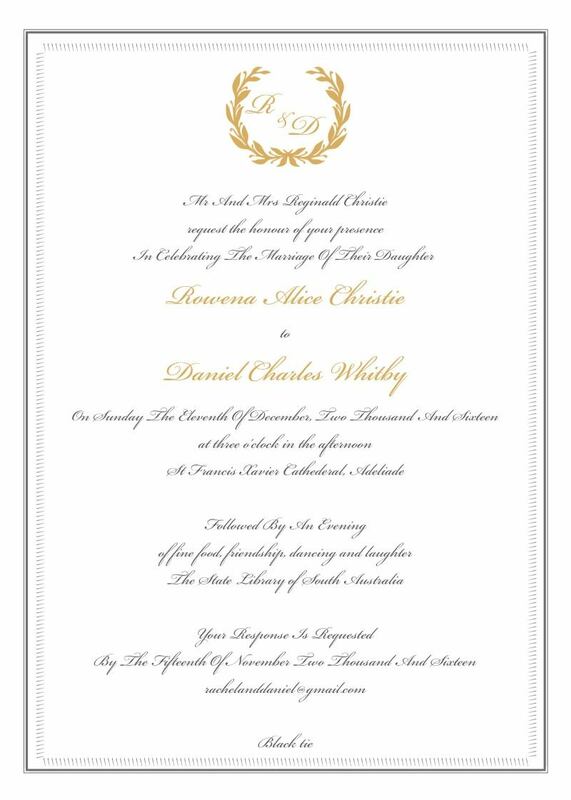 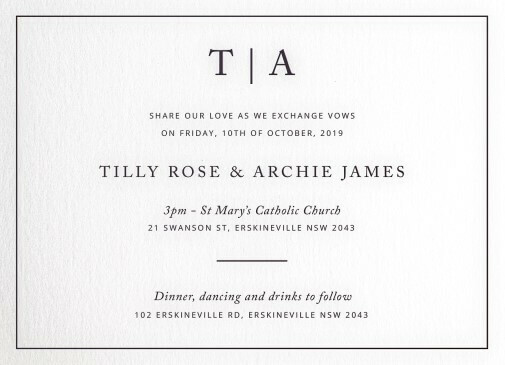 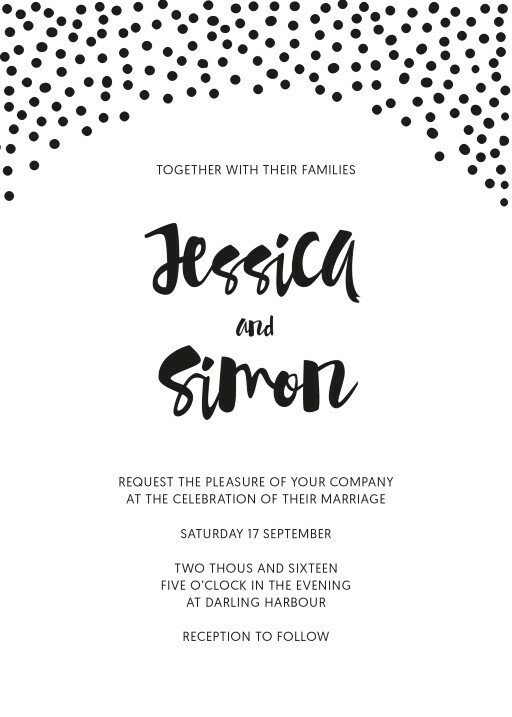 Black and white invitations need not be boring and with our great designs created by our Australian designer's there is sure to something to suit everyone’s taste. 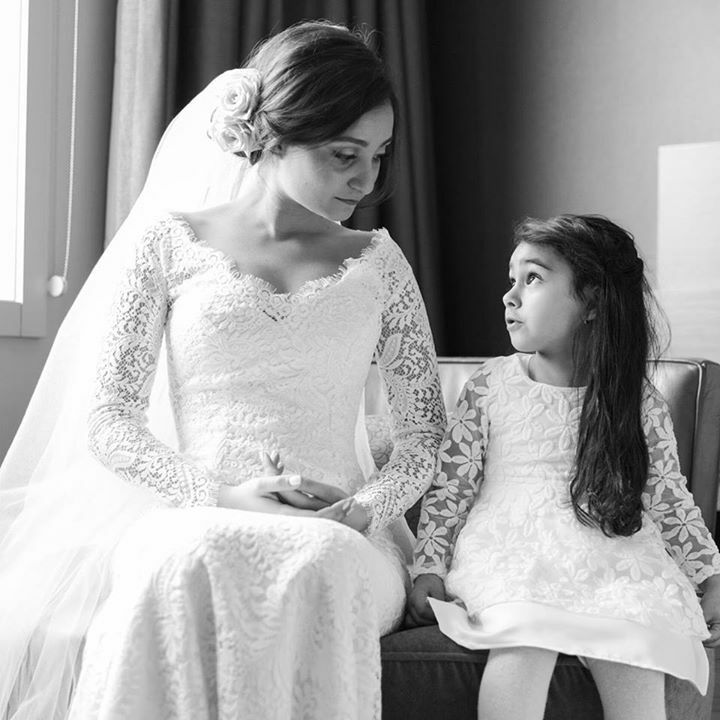 Your wedding is a day all about you and your partner, a celebration of your love, but it is also a reflection of who you are. 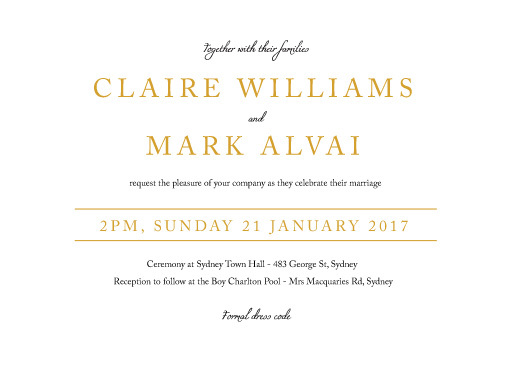 Your wedding day will say a lot about you as a couple, it will reflect your style and your taste’s. You want every detail to be just right, and as the first introduction to your guests as to what kind of wedding they can expect, your choice of wedding invitation is very important. If your style is all about monochrome then don’t think that you can’t do that for your wedding too. 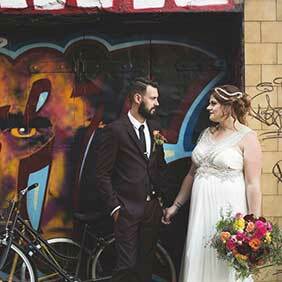 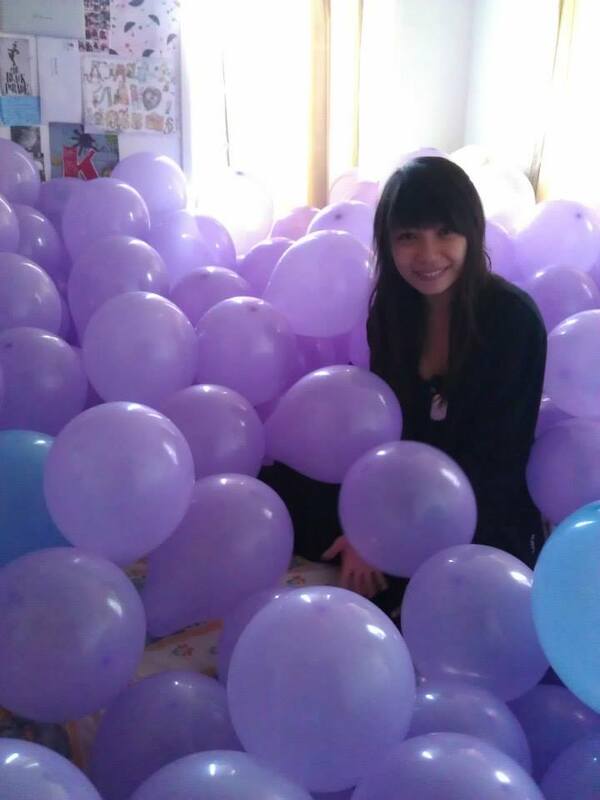 There is no rule that says your wedding needs to be colourful, it can be whatever you want, it’s your day after all. 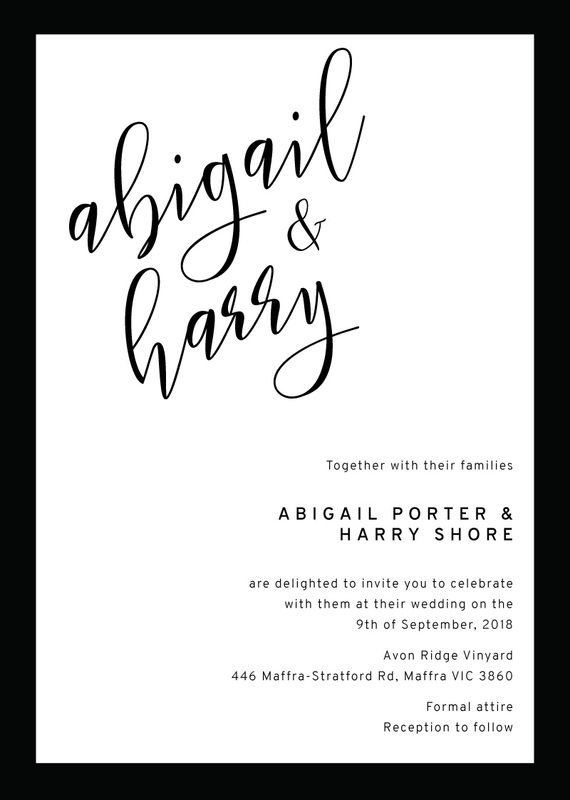 Black and white is elegant and classic. 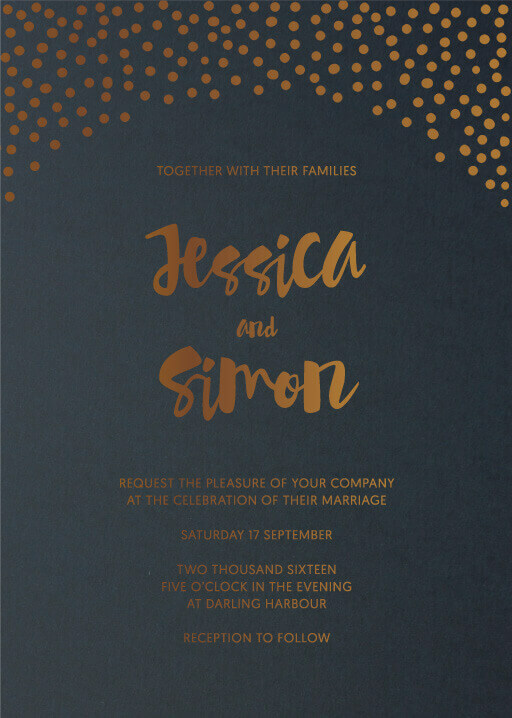 If you are looking to add a touch of colour or a little something special while still keeping predominantly to black and white, search our wedding designs by colour - black, blue, gold and purple wedding invitations. 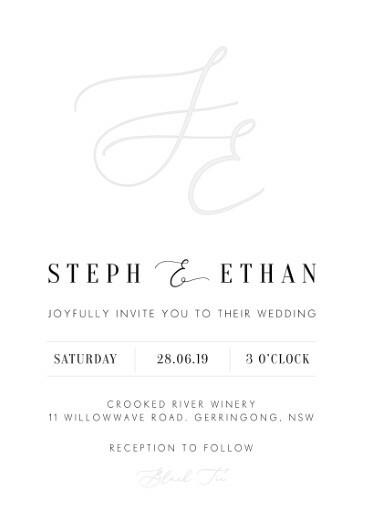 Black and white wedding invitations look stunning with a subtle touch of metallic or with one feature colour added in. 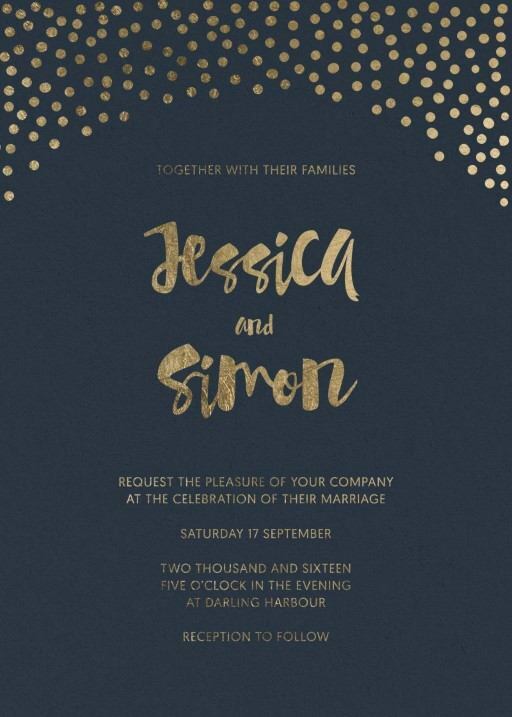 Gold or metallic foiling looks really effective when set against a simple black and white design, adding a touch of elegance, or you could also use a touch of lace to add some femininity. 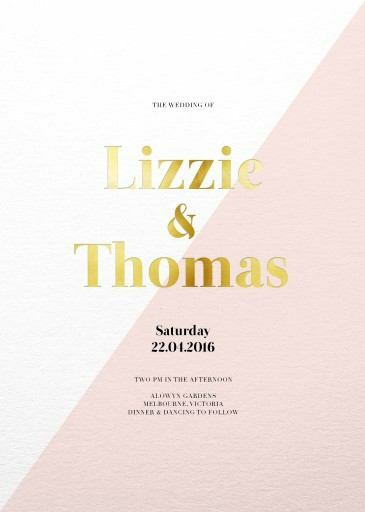 Your choice in printing can really add to the look of your wedding, as you can choose to keep it consistent throughout, including using it for your place cards, thank you notes and even your wedding menu. 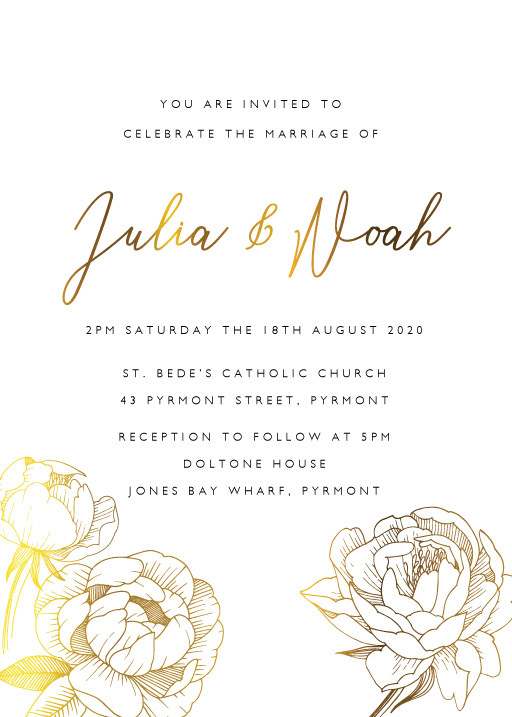 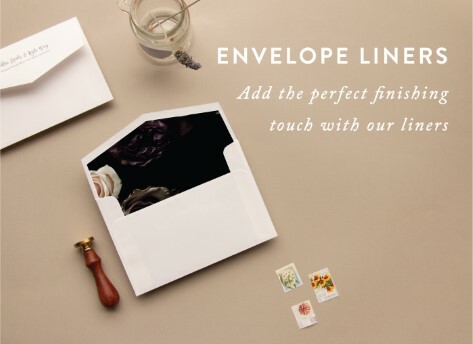 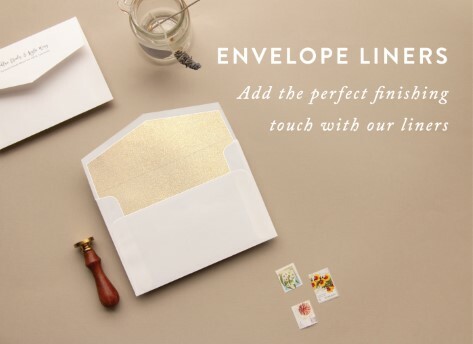 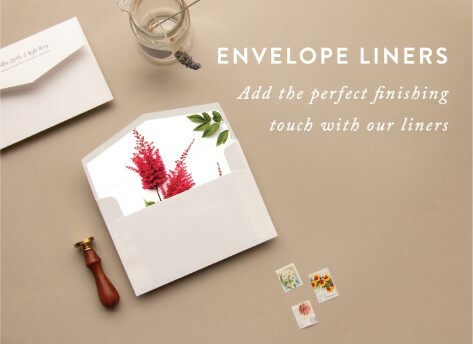 Once you've found a design you love be sure to also take moment to view our super helpful wedding invitation wording page, which has all the wedding card wording options you'll ever need. 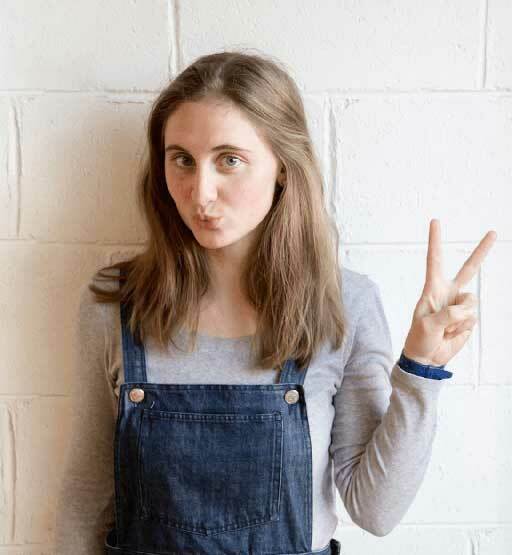 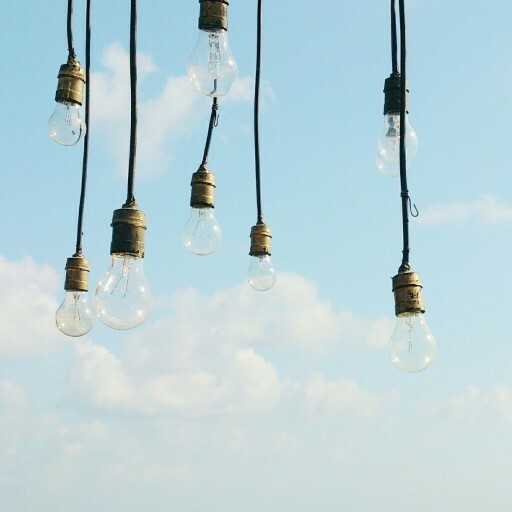 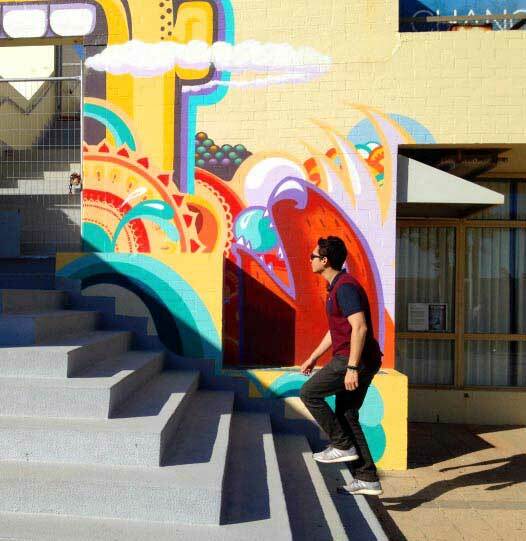 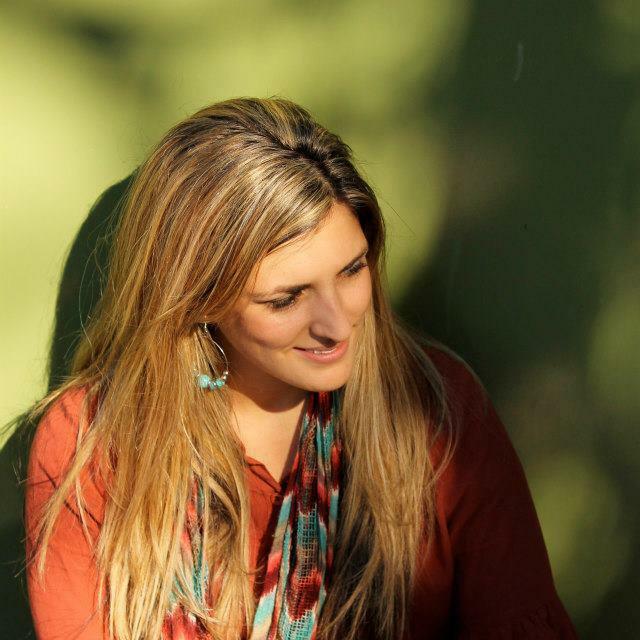 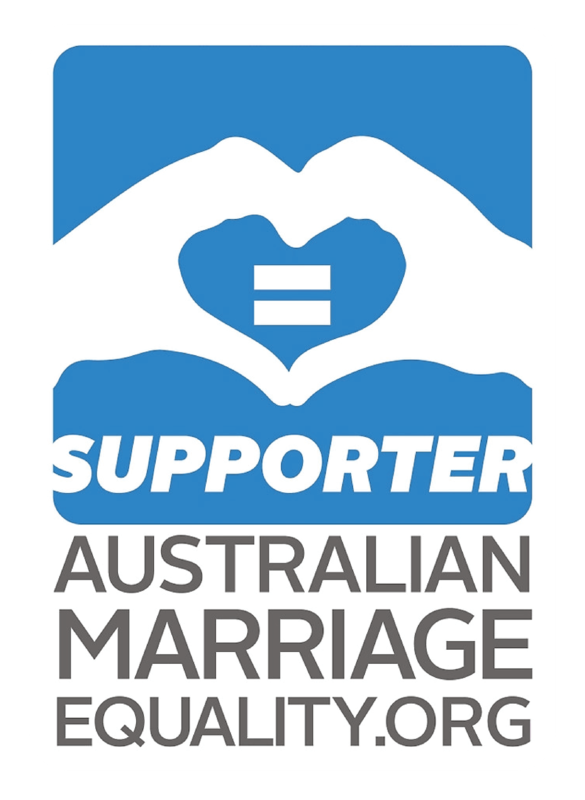 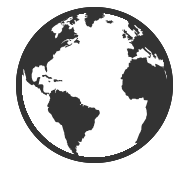 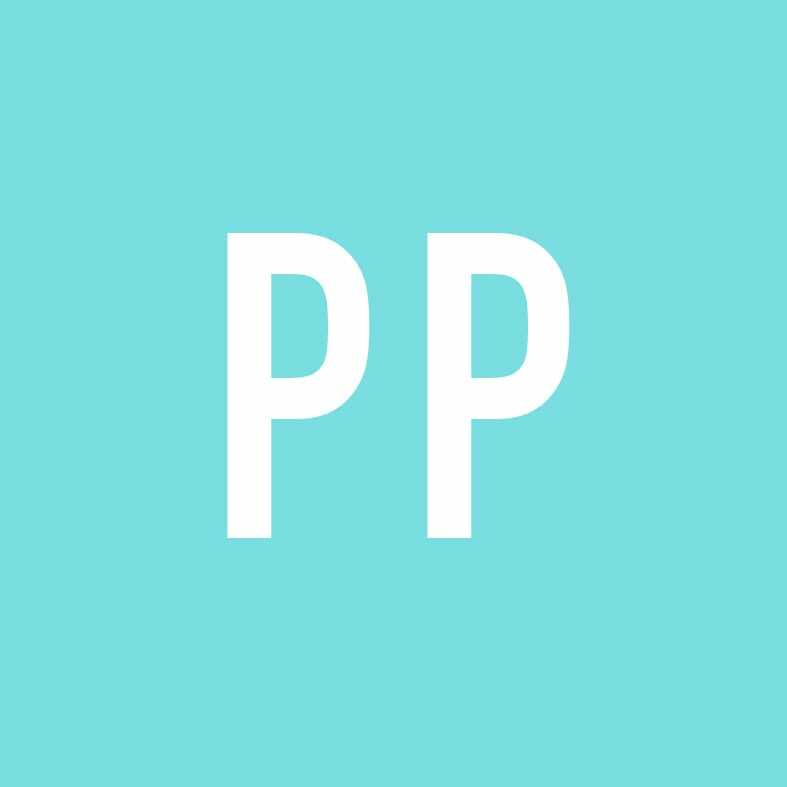 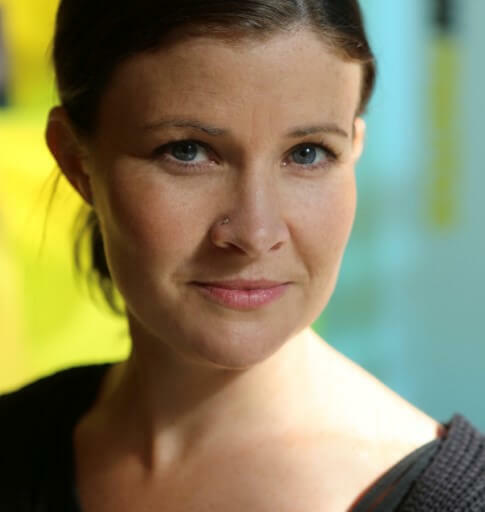 Here at Paperlust we love design, we collaborate with talented creatives, and we support Australian. 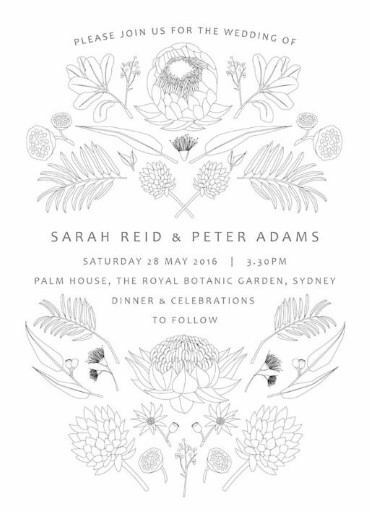 If you want black and white wedding invitations we will help you find the perfect one for your perfect day and personalise it just for you. 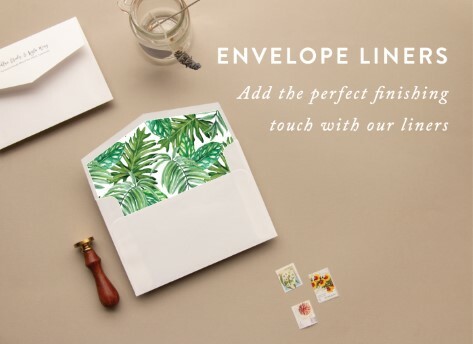 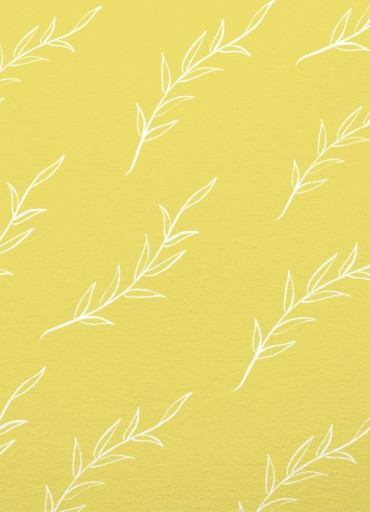 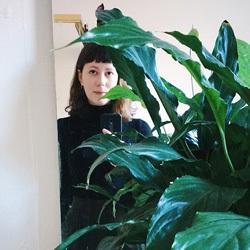 Paperlust is creating distinct design for you to fall in love with. 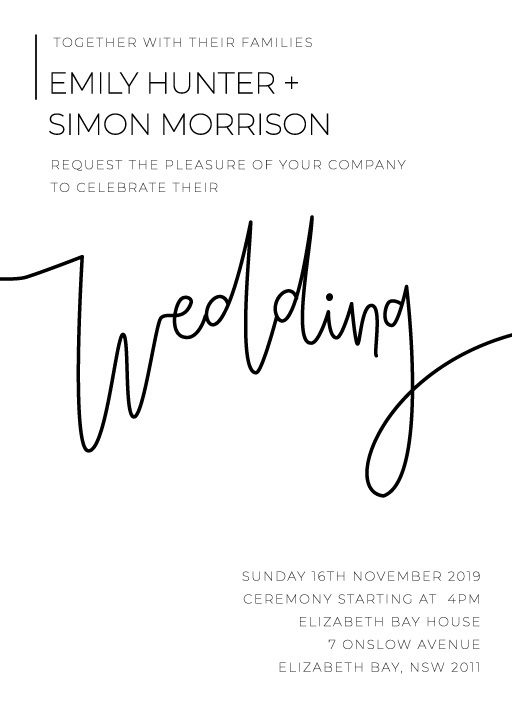 We want to help make your day as special as possible with our beautiful designs, the only problem you’ll have is deciding which one you love best!